New Delhi : The Delhi High Court said that, while recording statements of children and required to take active part within the boundaries of law to elicit truth, the trial court judges are expected to 'remain sensitive'. Justice S P Garg observed this while dismissing an appeal filed by a man challenging a judgement passed by a trial court in 2015 which had sentenced him to five-year jail under the Protection of Children from Sexual Offences (POCSO) Act for sexually assaulting a five-year-old girl. "The presiding officer is expected to remain sensitive particularly when a child of tender age is under examination. While conducting trial, court is not required to sit as a silent spectator but to take active part within the boundaries of law to bring on record the relevant facts for the purpose of eliciting truth," the court said. The court said that sentence awarded to the 42-year-old man was based upon fair reasoning and the crime committed by him was horrible as he had ravished the child who was like his own daughter. The judge noted in his order, the accusations are very specific, certain and clear. What else can be expected from a child aged around five years? Her statement on material and vital facts remained unchallenged. According to the police, the man had sexually assaulted the child in April 2014 when she had gone to his house. During the trial, he had denied the allegations and claimed that he was falsely implicated in the case. His counsel argued before the high court that trial court had ignored the inconsistencies in the statements of the prosecution witnesses and overlooked the fact that child was not competent to depose and she had given the statement at her mother’s behest. While dismissing his appeal, the high court said there were no valid reasons to suspect the version of the girl and to discredit her testimony. 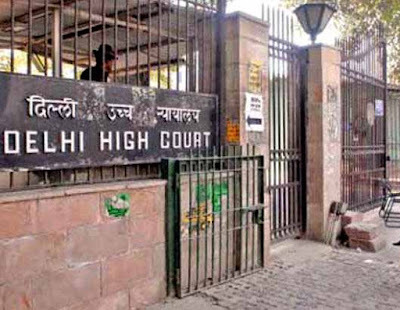 The Delhi High Court said that, The appellant (man) exploited her (child’s) innocence and betrayed the trust of her family members as neighbour. The appeal lacks in merits and is dismissed.